Kleine Entdecker is a bilingual kindergarten and daycare centre in Stuttgart Botnang. 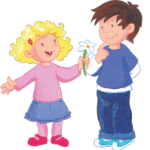 We provide childcare for children between the ages of 6 months to 6 years. In every group there are three teachers present daily. It is very important to us that the children have a lot of space to play and express themselves. Our center offers big group rooms, separate sleeping rooms and a cozy room for the teachers and parents to meet and communicate with one another in a comfortable setting. We also offer a big gym and an art room/workshop which is filled with proper work and art material. This is very important to us so that the children can improve their movement and/or artistic skills. The kindergarten center has a beautiful and big outdoor area. This will enable the children to spend time outside every day, in addition to regularly planned excursions/trips.